This organization has signed an underage squad for online tournaments and practice. It’s easy to say that Matthew “Burns” Potthoff knows what it takes to be successful in competitive Call of Duty. Burns has been in the scene for a long time—he competed from 2012 to the end of Black Ops III in 2016, and for the past year, he’s been the general manager and coach of eUnited. And now, Burns is looking for new ways to help eUnited’s professional Call of Duty team. The organization announced on Nov. 30 that it signed “Simp,” “Cellium,” “iLLeYY,” and “TurnUp” to form the eUnited Cadets. The team is a group of underage players who are well known in the online Search and Destroy community. 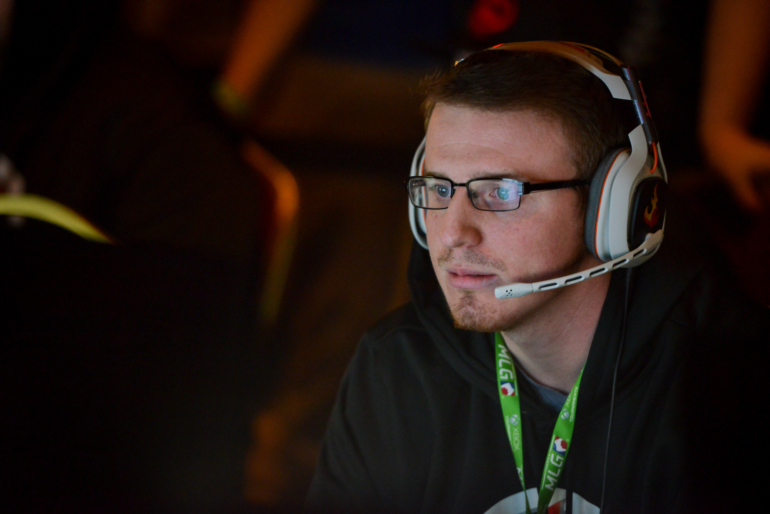 They most recently won UMG’s $10,000 memorial Search and Destroy tournament on Nov. 18. Burns, who casted over this memorial tournament, had plenty of time to watch these young slayers. And that’s when he came up with the idea to form the Cadets. Although they’re too young to compete in Call of Duty World League events, the Cadets should be great practice partners for eUnited’s professional team—James “Clayster” Eubanks, Alec “Arcitys” Sanderson, Preston “Prestinni” Sanderson, and Justin “SiLLY” Fargo-Palmer—especially in Search and Destroy. On top of practicing against Clayster and crew, Burns hopes that signing the Cadets will allow them to grow as players. While the Cadets will be helping the professional squad practice Search and Destroy, eUnited’s veterans have a lot to offer these young slayers. As players who have been competing for a long time in Call of Duty esports, the Cadets can learn valuable information from Clayster and SiLLY as they look to start their own careers. Burns hopes that by signing these young players, he and the rest of eUnited can help the Cadets get ready to become professional Call of Duty players. And Burns believes that this age group of players has the potential to be the future of Call of Duty esports. It’s easy to see why Burns believes the Cadets and other young players are the future of Call of Duty esports. When the Cadets are winning and beating professional teams in online tournaments, that’s just a step in the right direction for their future in Call of Duty. While the Cadets will be participating in online Search and Destroy tournaments, eUnited’s professional Call of Duty team is gearing up for this weekend’s CWL Dallas Open. Clayster and crew are in Pool D for this $200,000 tournament, as they look to start the WWII season on a positive note on Dec. 8.